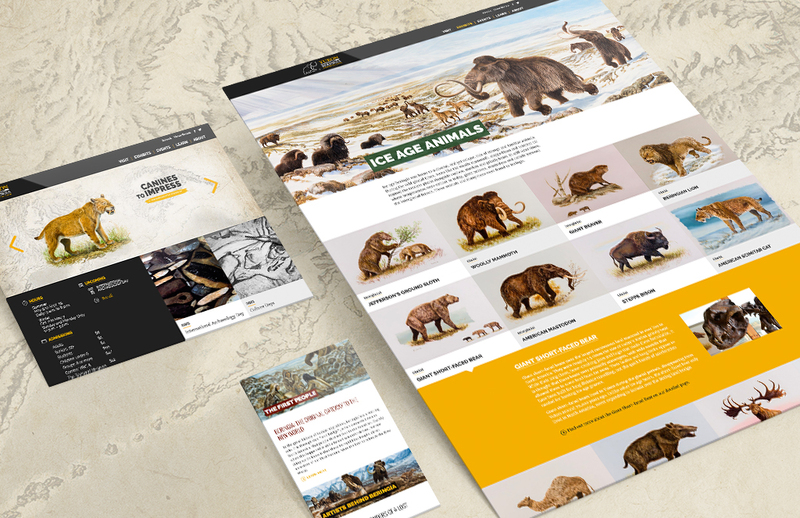 Just as Beringia was a land bridge between continents, today’s online experience of Beringia needed to similarly bridge the gap of time and technology, and bring this wonder of the ice age into the 21st century. 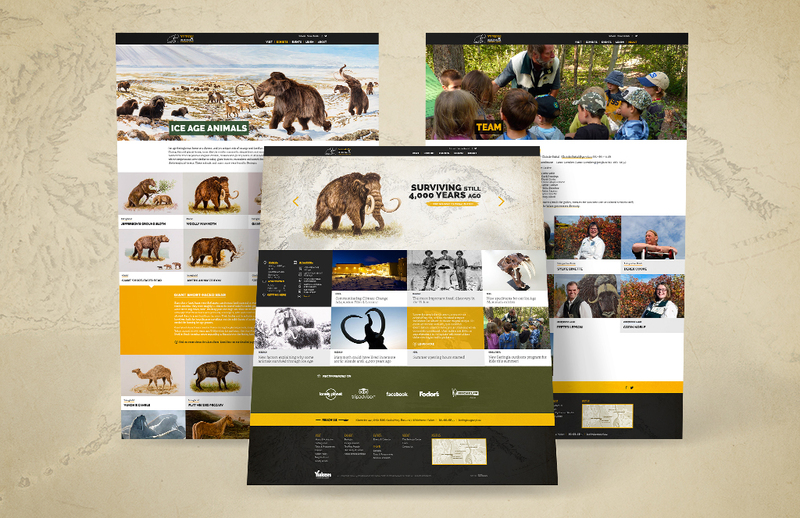 The Yukon Beringia Centre is an important hub for the prehistory of the north, but their website was out of date – both by technological and content standards. A ground-up review was in order to ensure the finished product would give the museum’s singular content the showcase it deserved. Art Direction began with a visit to the physical space that is the Yukon Beringia Interpretive Centre and a thorough review of what is on offer. We also looked into the material to see which colours and graphic elements would best reflect the Ice Age while giving it a modern look. Next we flagged a list of issues and highlighted solutions: robust Content Management System (CMS) for easy updates; great mobile experience; flexible and user-friendly feed module for news, events and articles; customizable structure; social media integration, etc. Next, our team researched web navigation for museums internationally, evaluating what works best, what doesn’t, and what delivers the best user experience. The research helped establish our goal: getting people excited about the topic as much as about the events and exhibits. The layout was structured around that idea highlighting impressive images from the Beringian era along the top, with practical information and details just below. 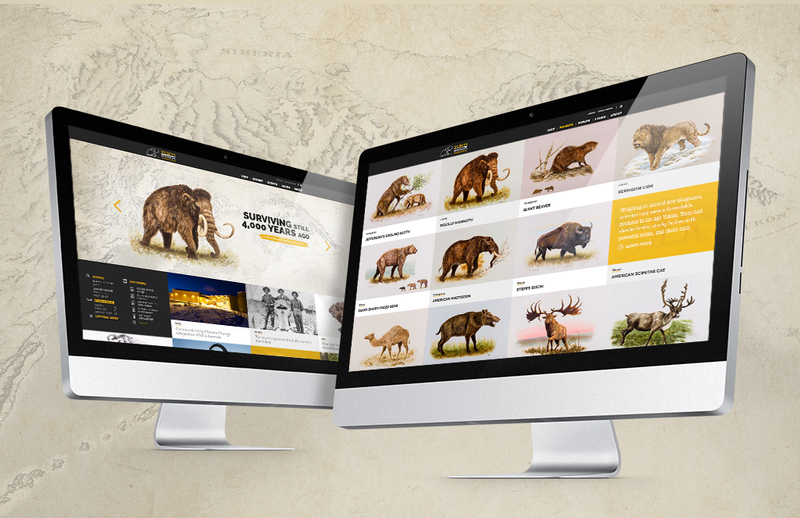 Instead of promoting a product, a service or a campaign, the focus of this website is getting people interested in the subject of Beringia. We did this by creating a museum-like feeling for the online audiences to explore the subject.